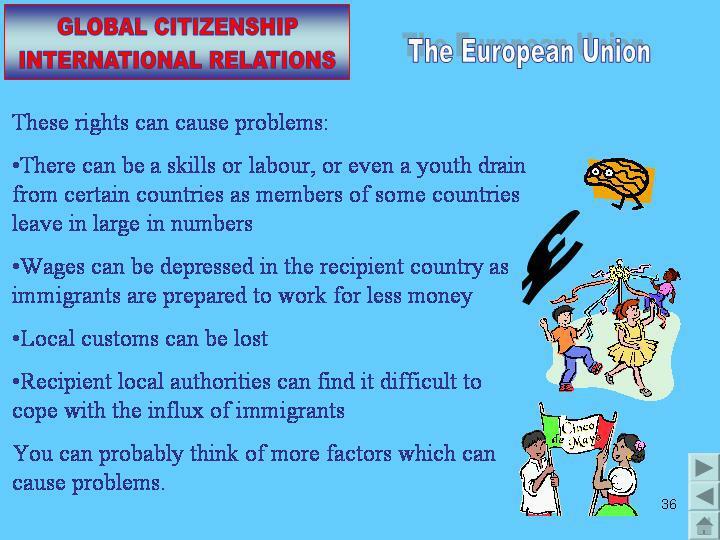 Scroll down the page to see details of the products we offer to assist with teaching Citizenship in Key Stage 4. 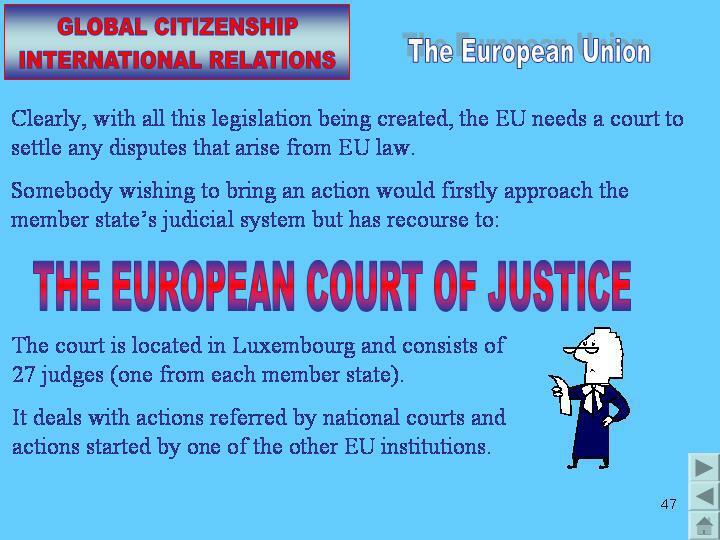 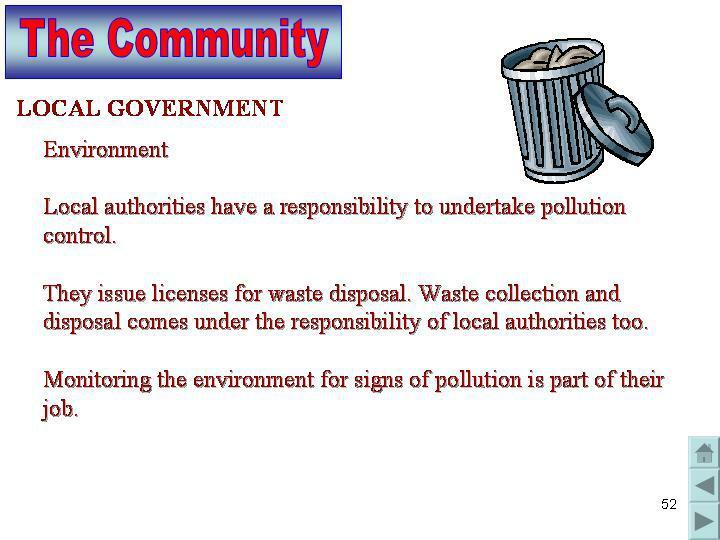 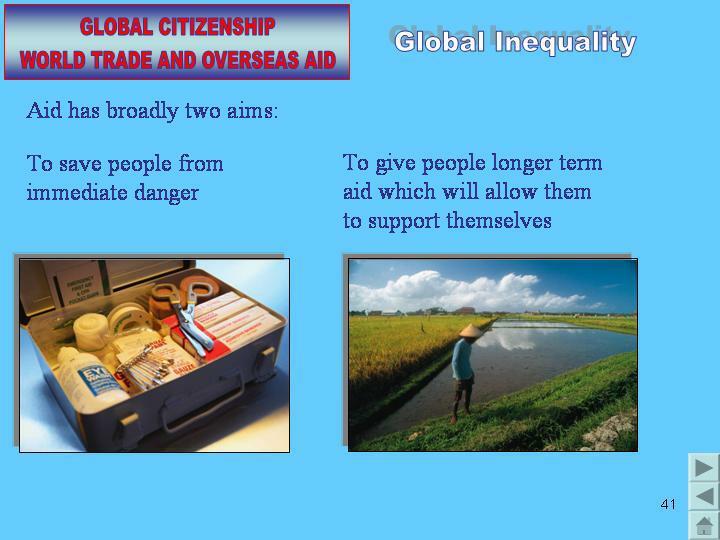 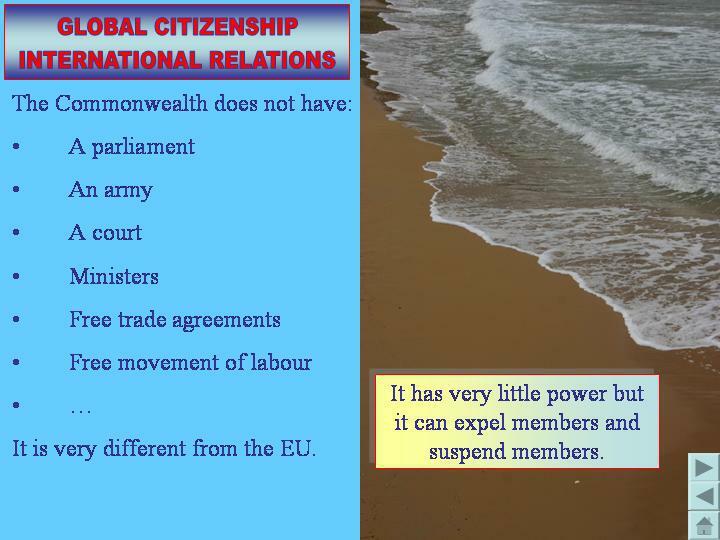 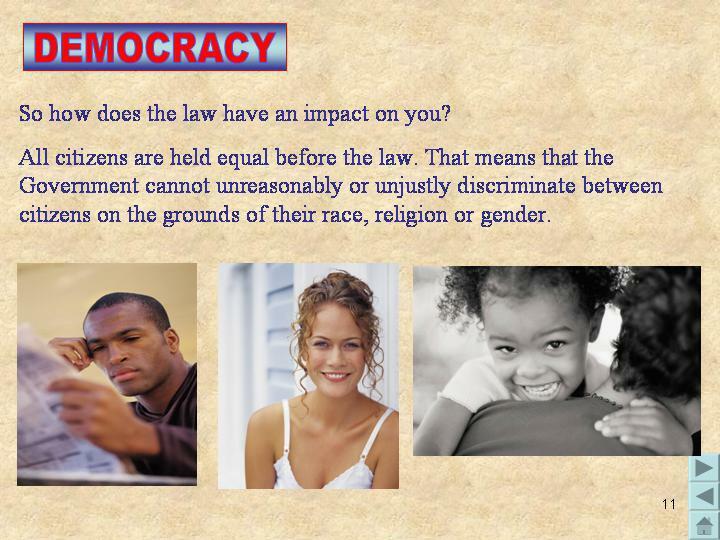 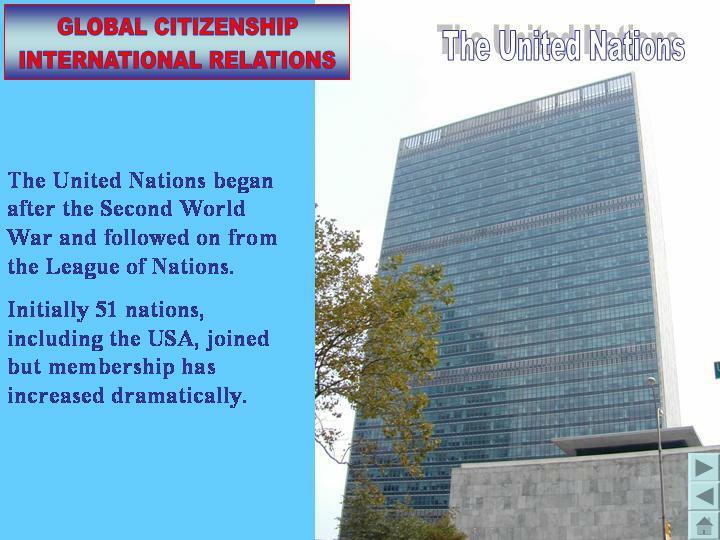 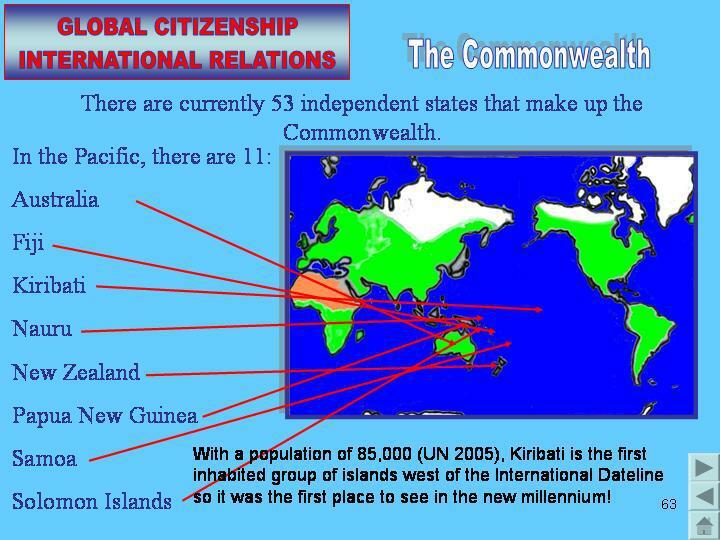 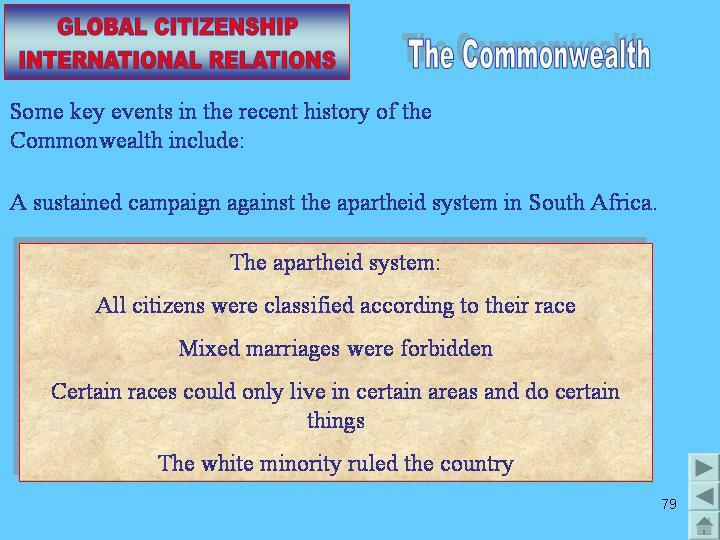 You can download our demonstration presentation by clicking on 'Citizenship Demo.ppt', below. 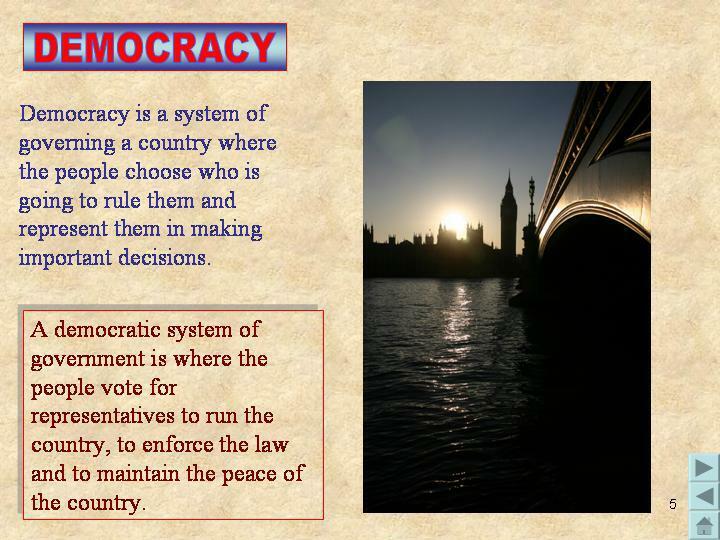 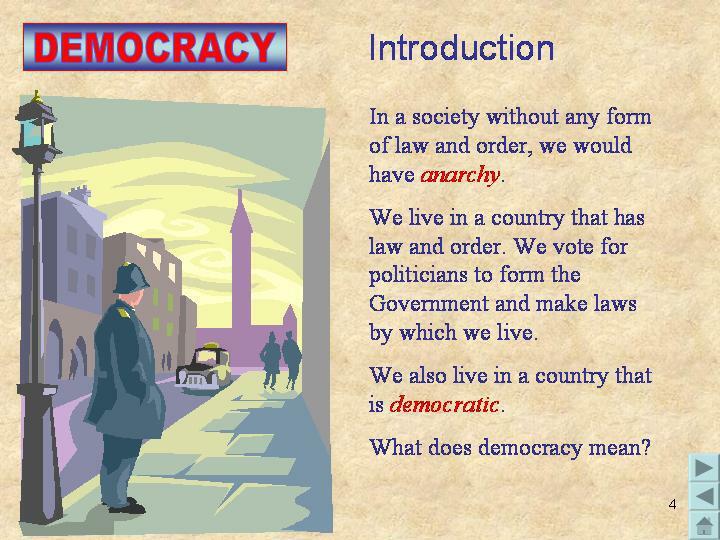 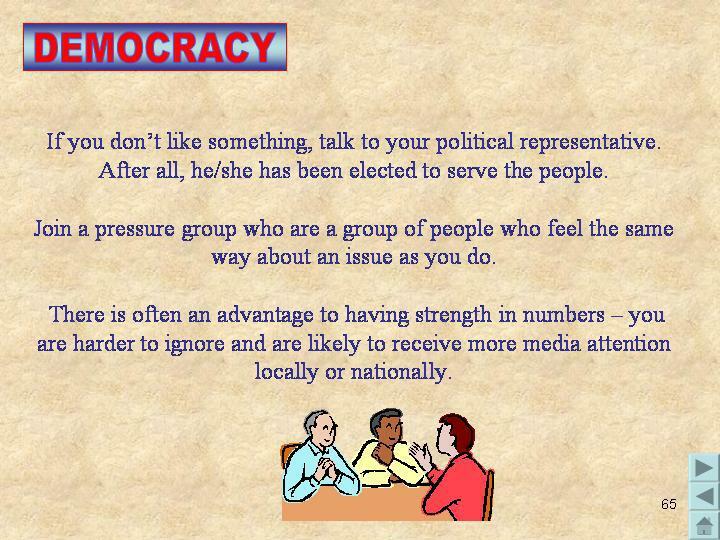 Containing over 60 PowerPoint slides with colour photos and pictures, this PowerPoint presentation addresses the issues of democracy. 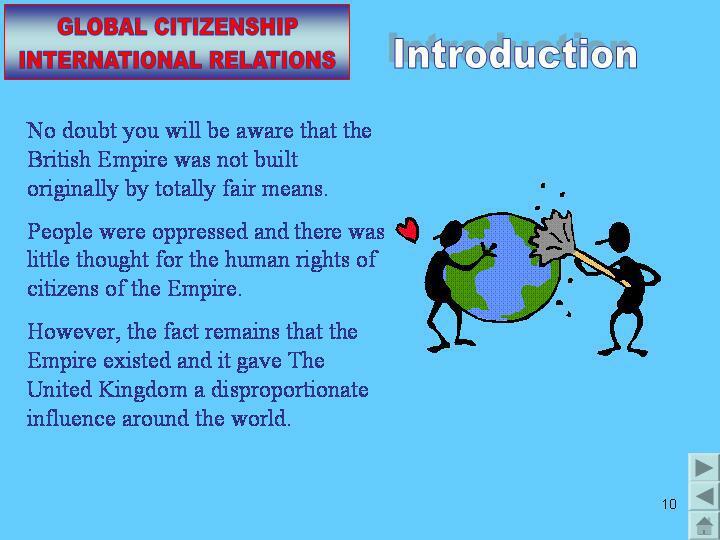 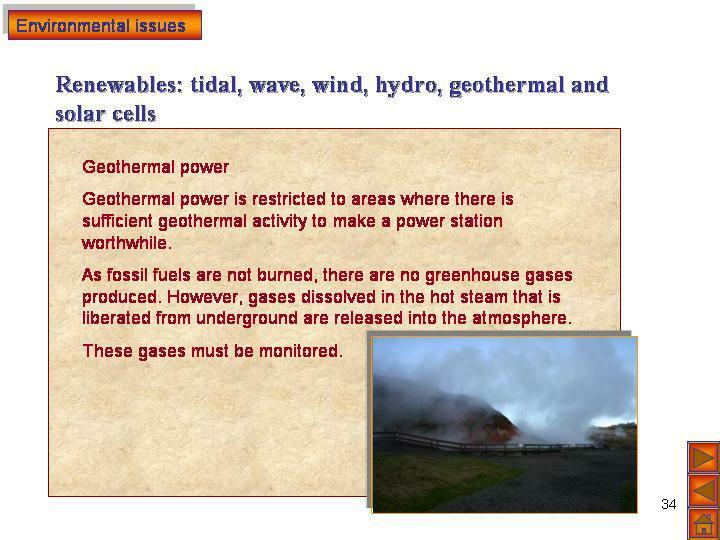 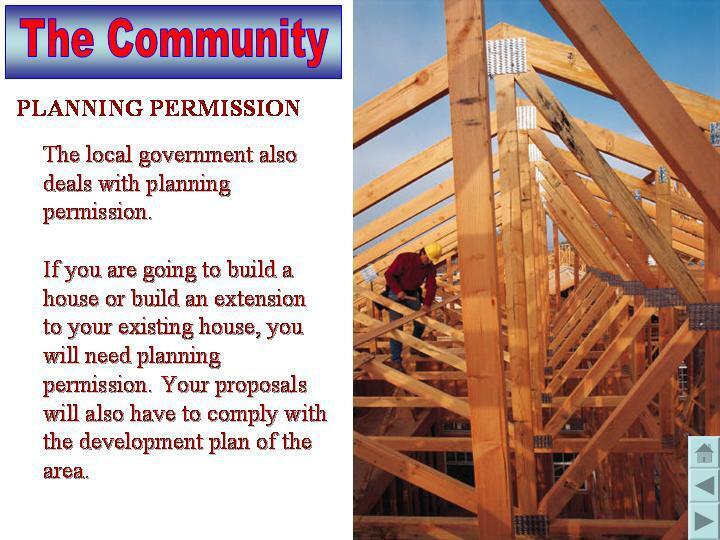 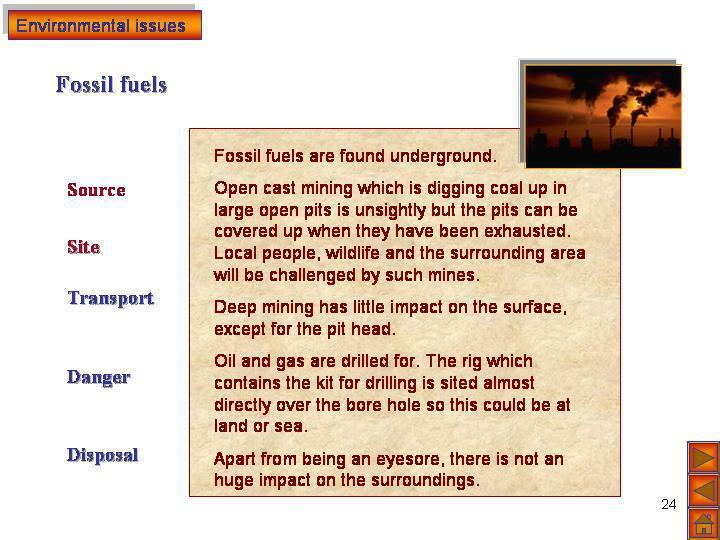 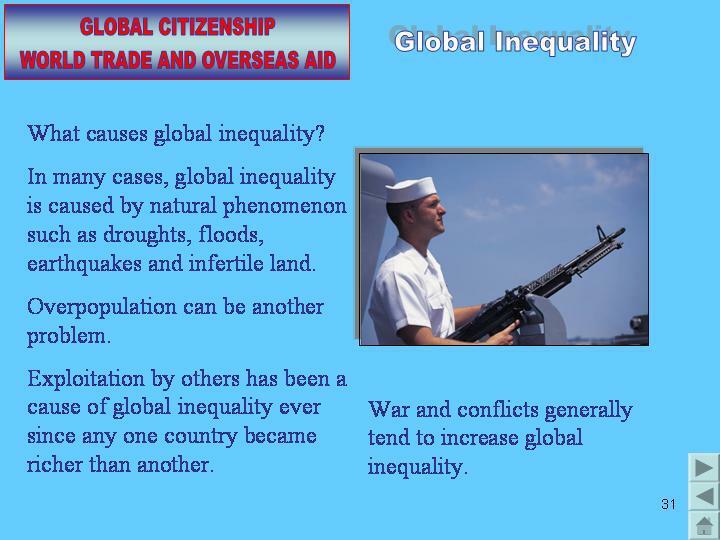 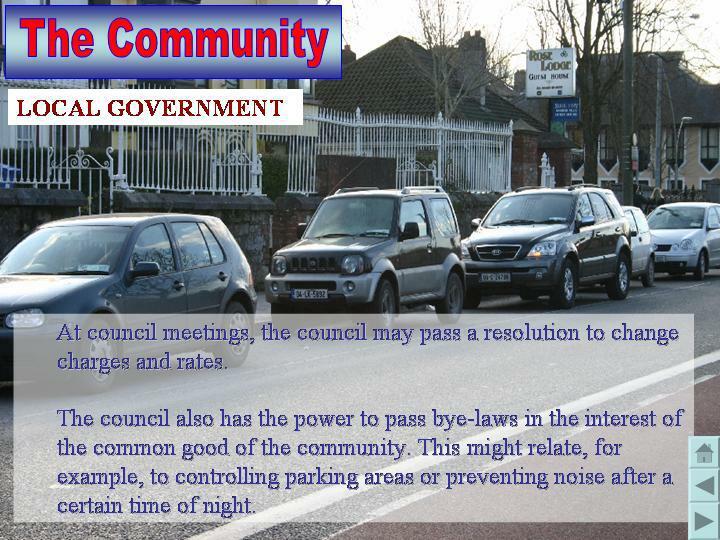 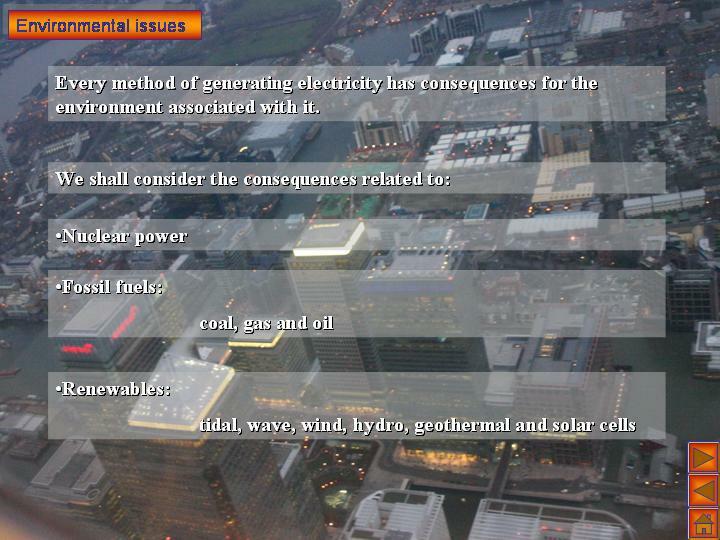 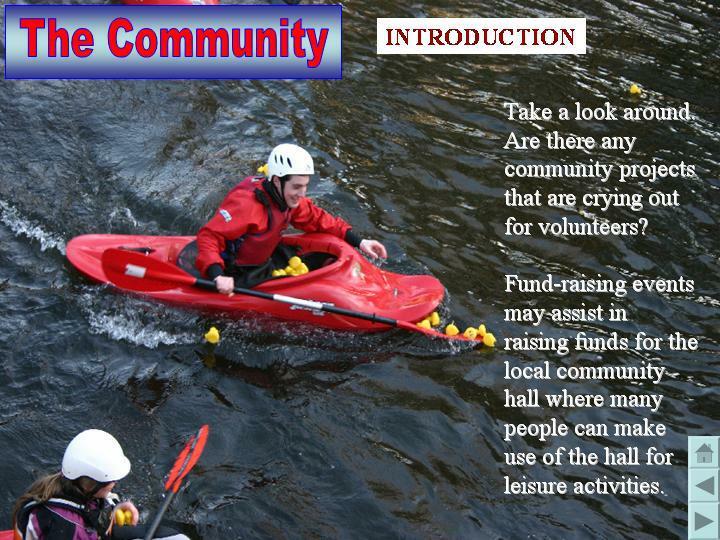 There are some example slides below. 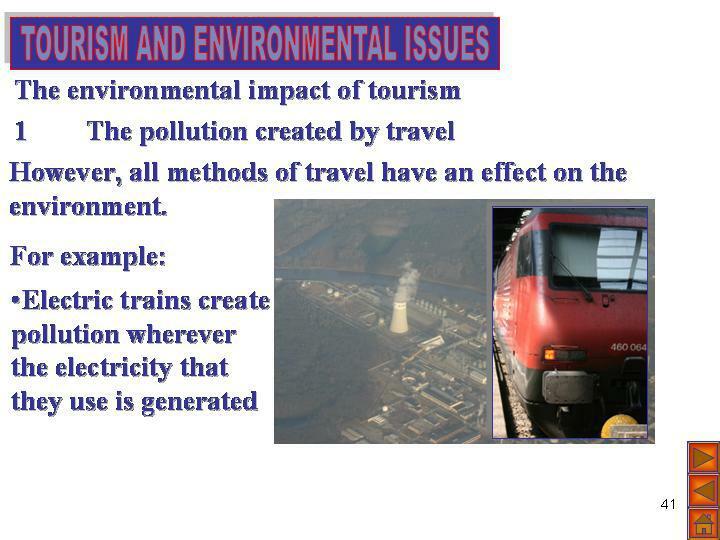 Click on one of the images below to take a closer look at the slide. 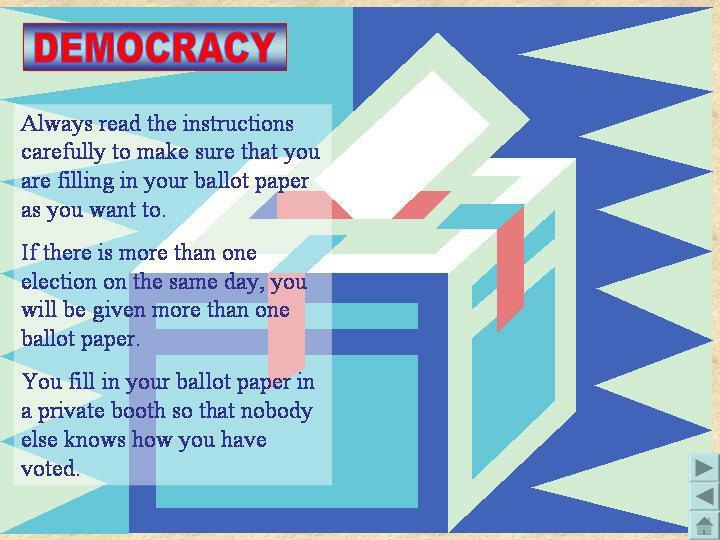 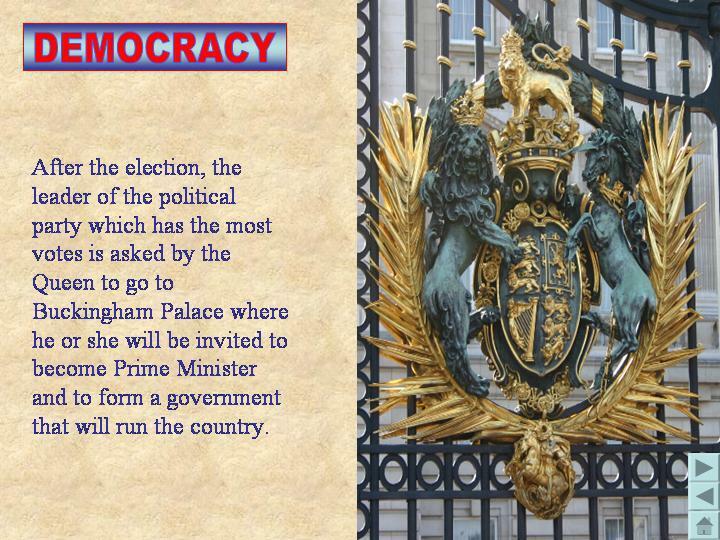 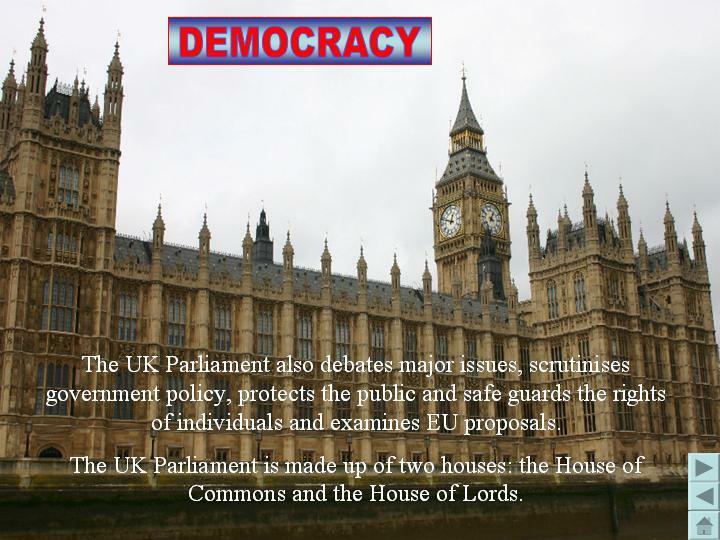 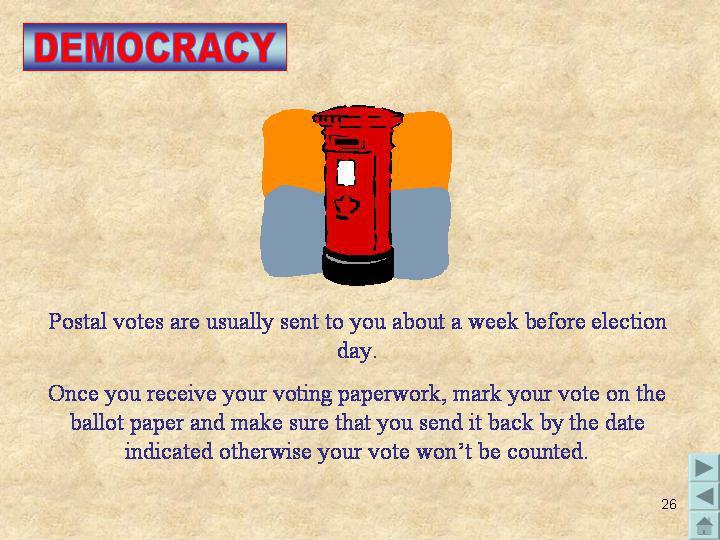 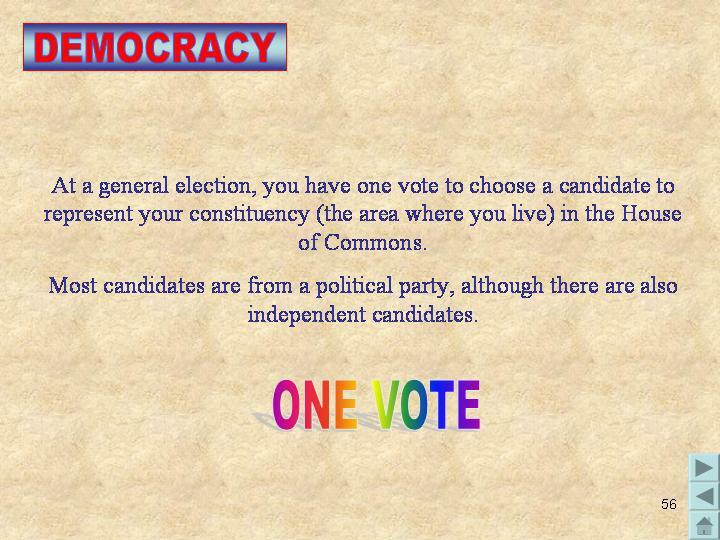 This presentation considers democracy and its meaning, the process of voting and different types of elections, who you can vote for, an explanation of the UK Parliament and the importance of using your vote to bring about change. 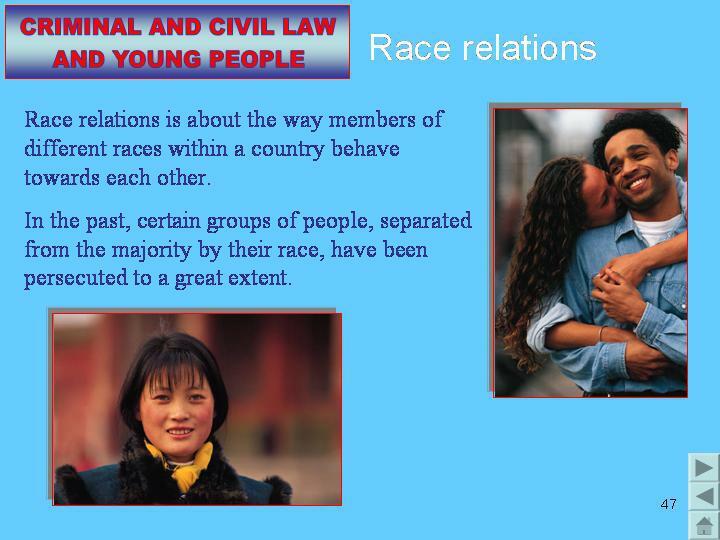 This PowerPoint presentation contains over 100 slides with colour photos and pictures. 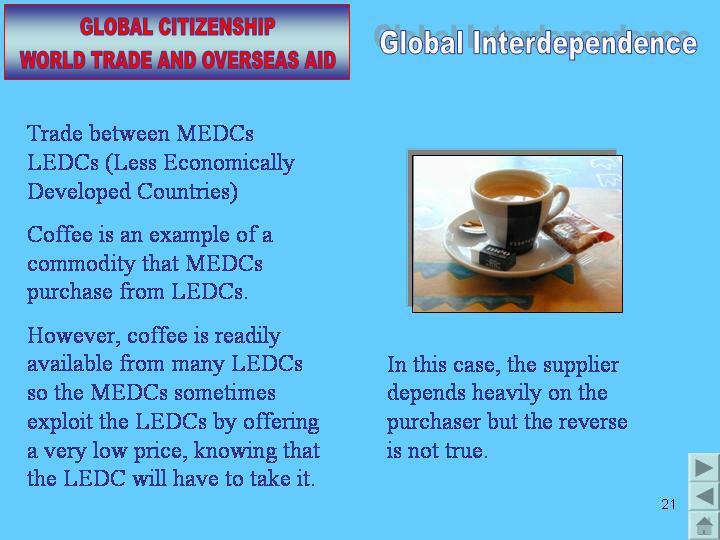 There are some example slides below. 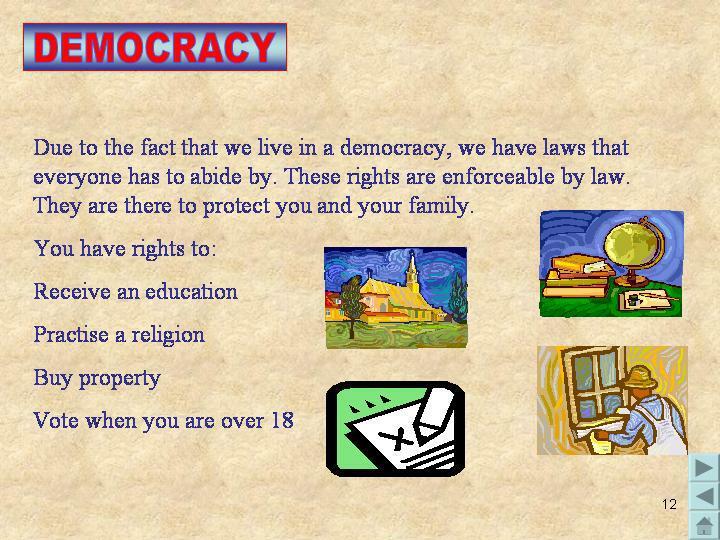 Click on one of the images below to take a closer look at the slide. 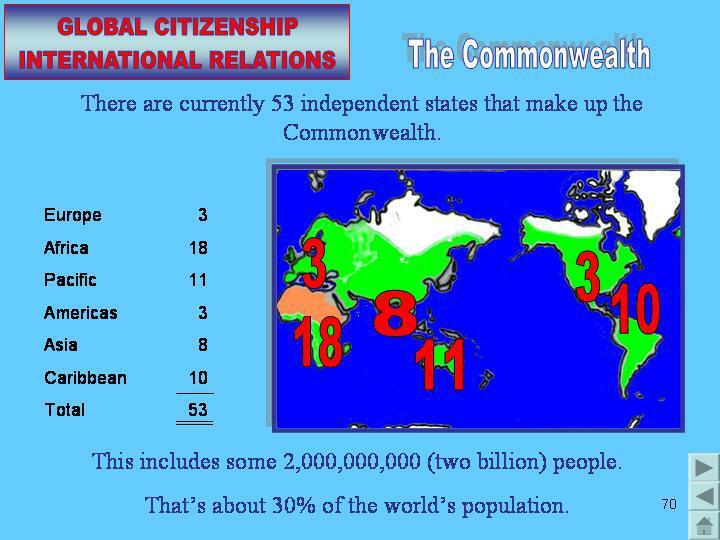 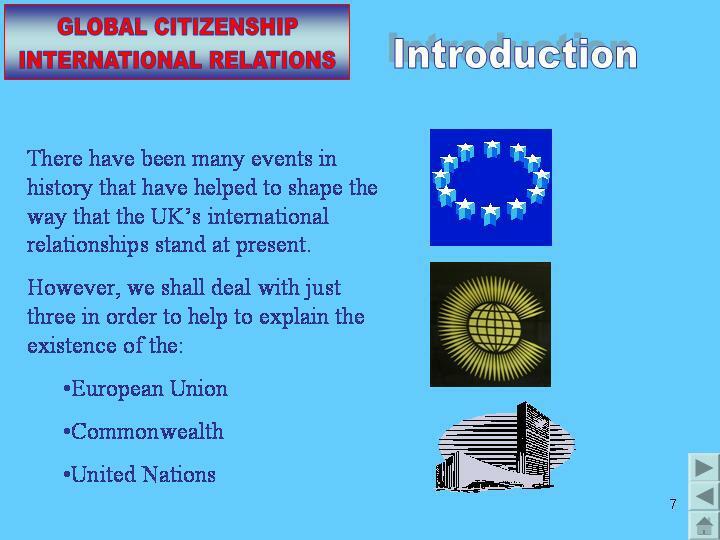 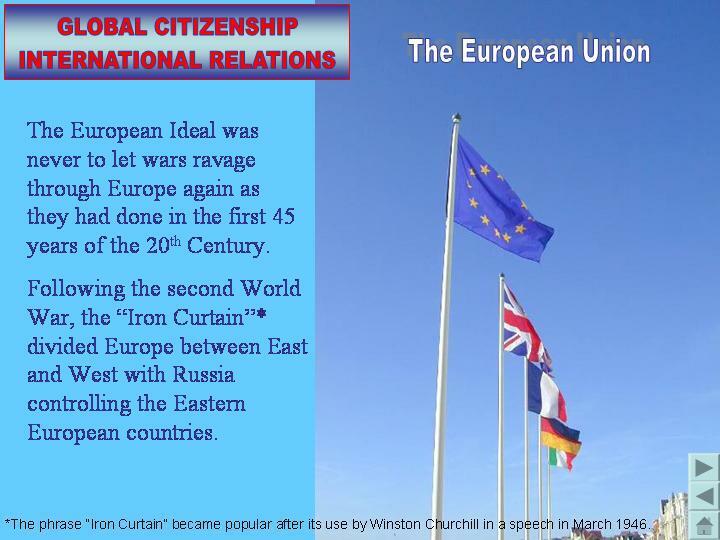 This presentation covers the following topics: The League of Nations, the European Union, the Commonwealth and the United Nations. 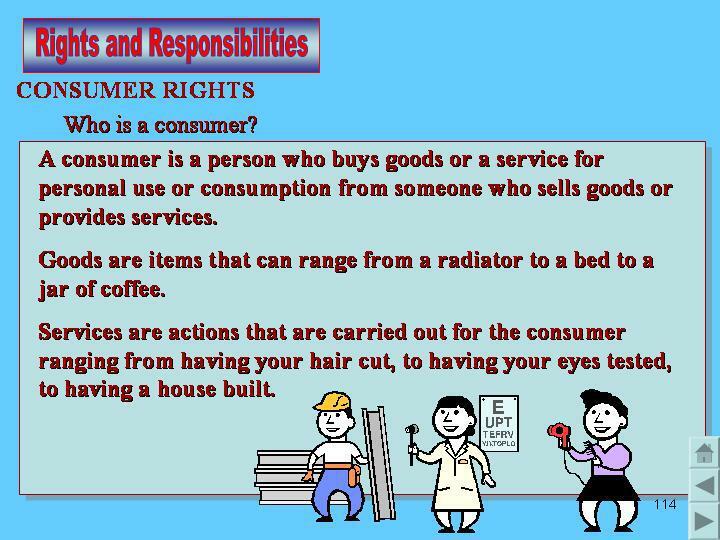 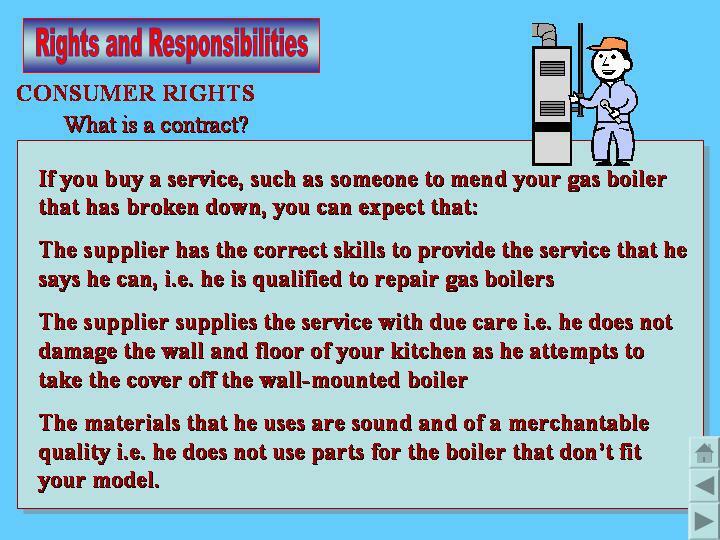 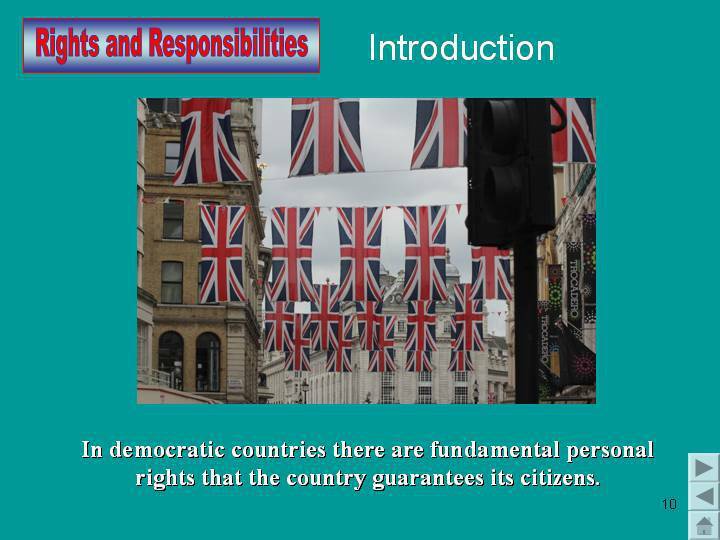 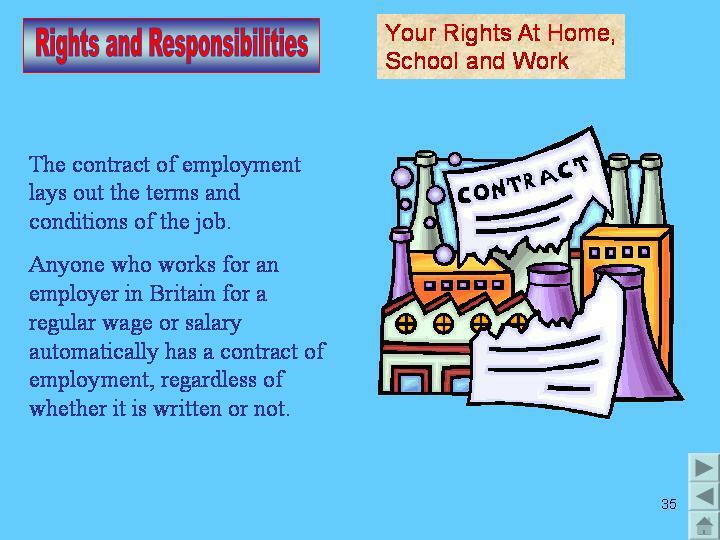 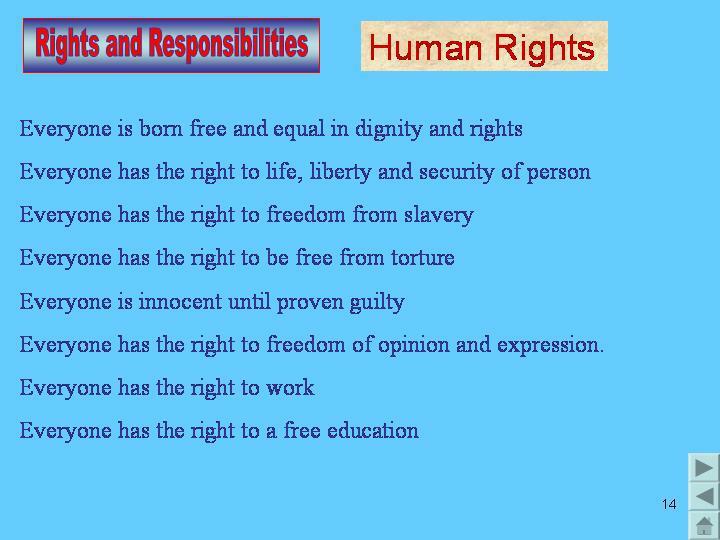 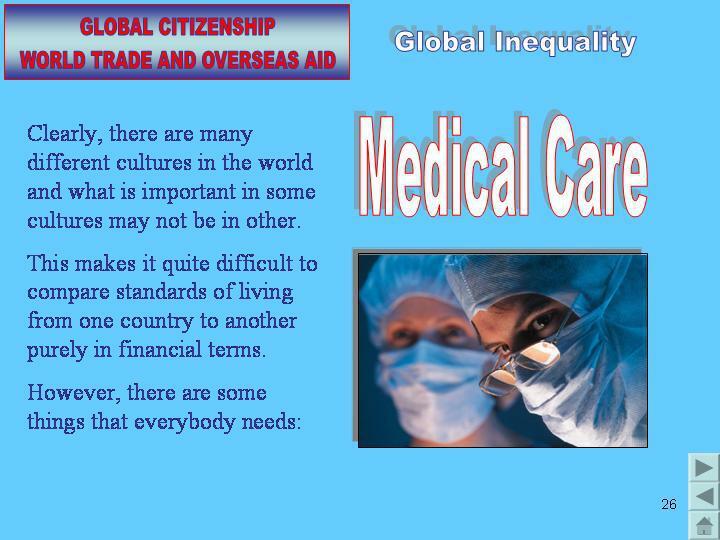 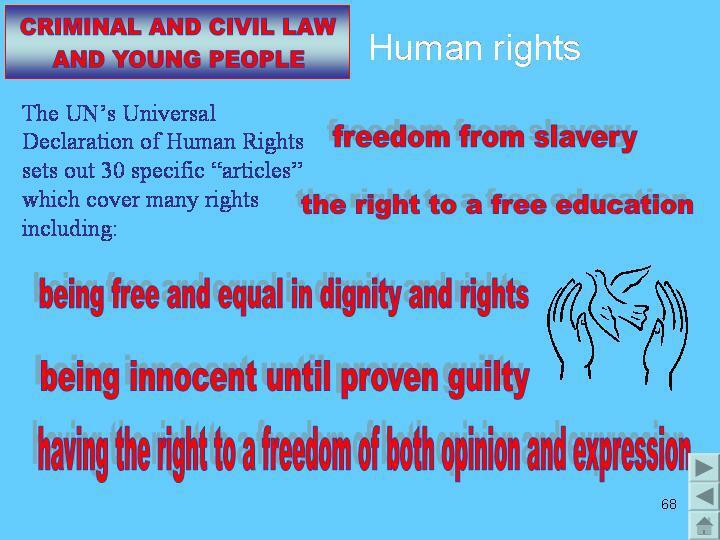 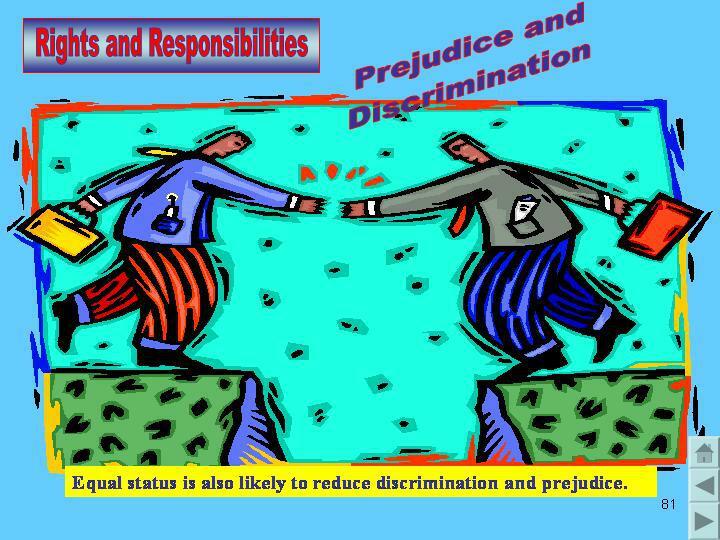 Contains over 160 PowerPoint slides with colour photographs and pictures.This presentation considers the many topics which involve people's rights and the associated responsibilities that come with those rights. 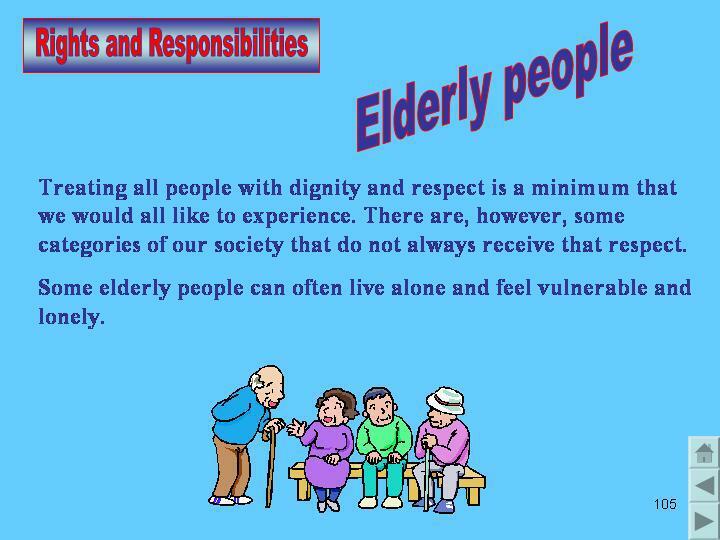 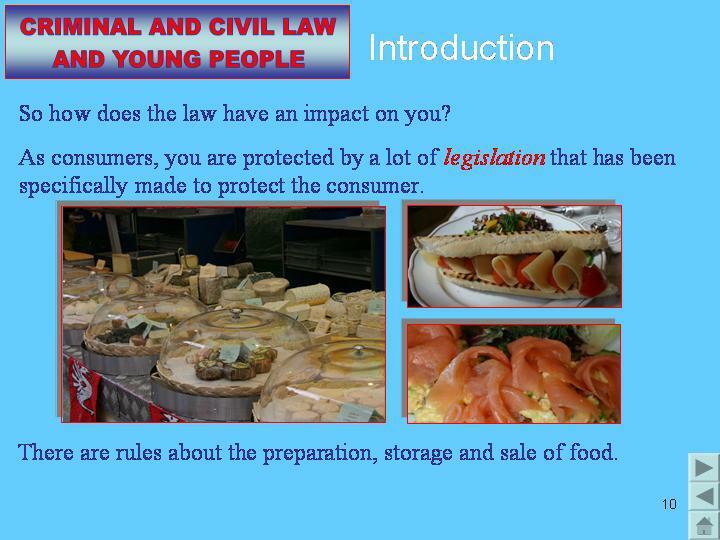 This presentation covers the topics of your rights, human rights, immigration, racism, prejudice and stereotypes, the elderly, consumer rights and our environment. 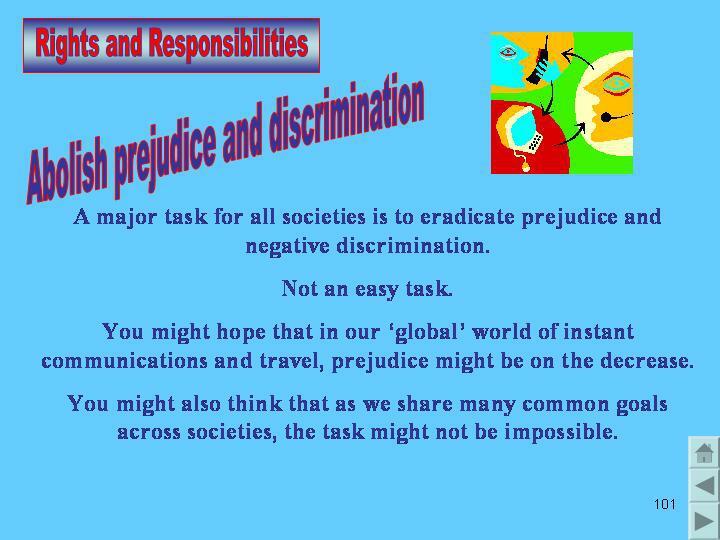 This PowerPoint presentation contains over 60 PowerPoint slides with colour photographs and pictures. 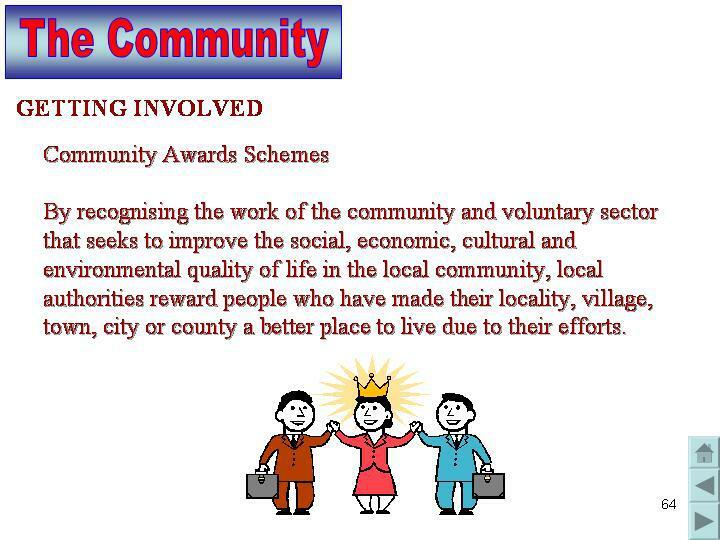 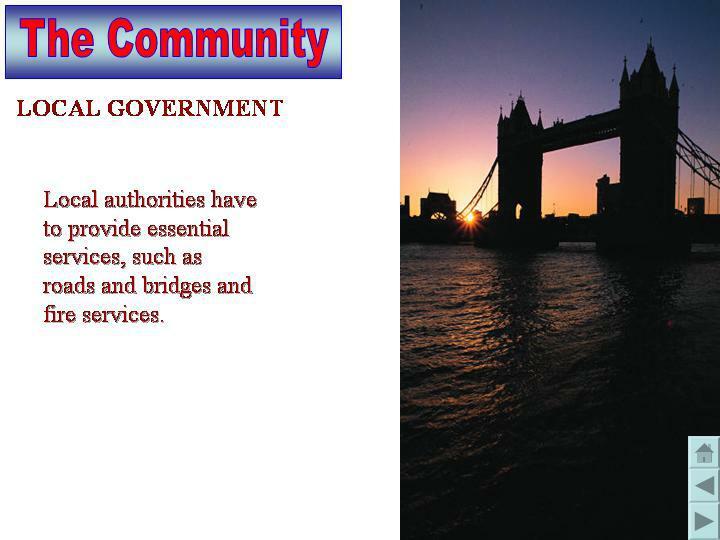 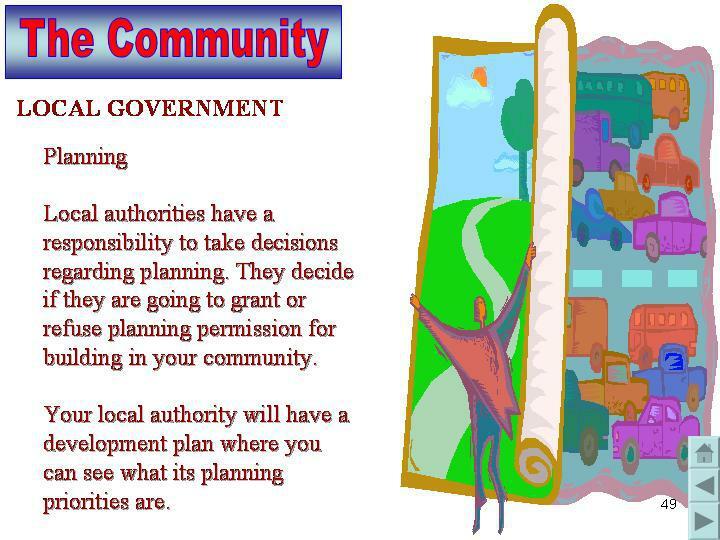 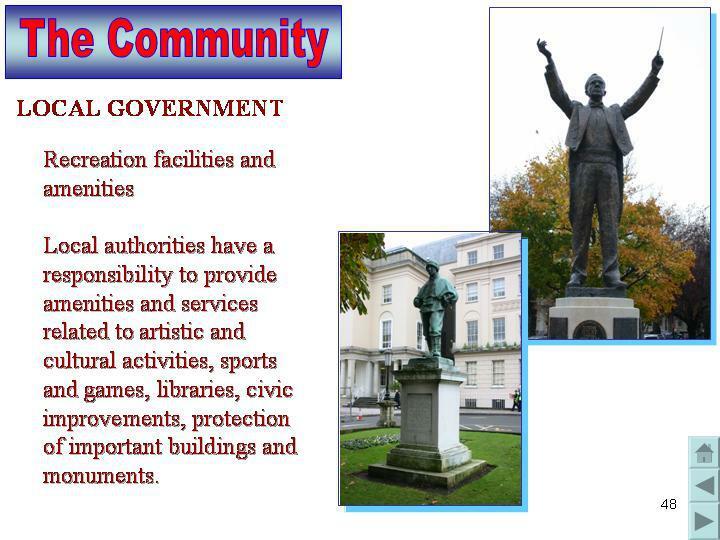 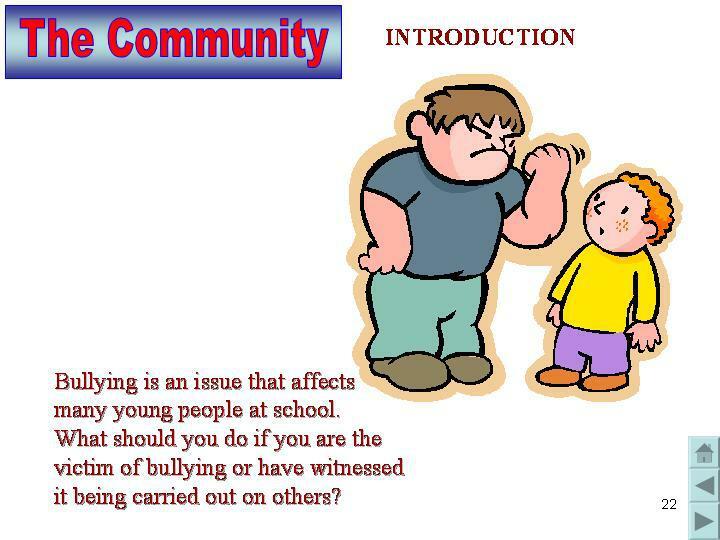 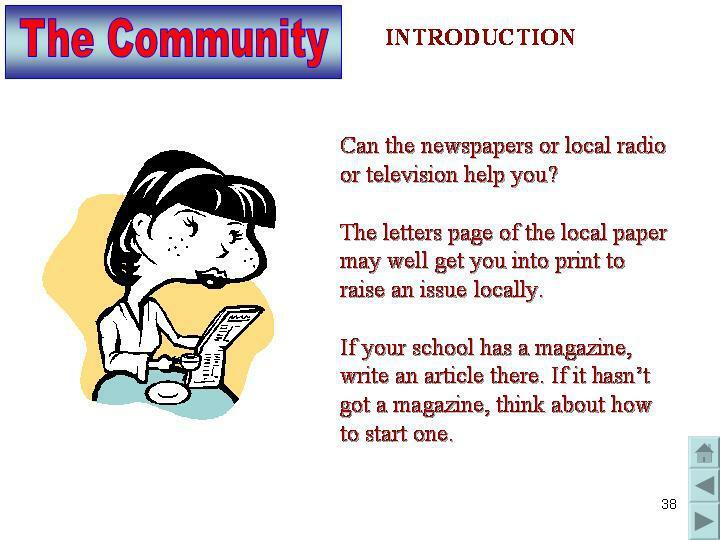 The presentation covers the topics of what a community is, multi-cultural Britain, the school community, getting involved in the local community to make changes and the function of local government. 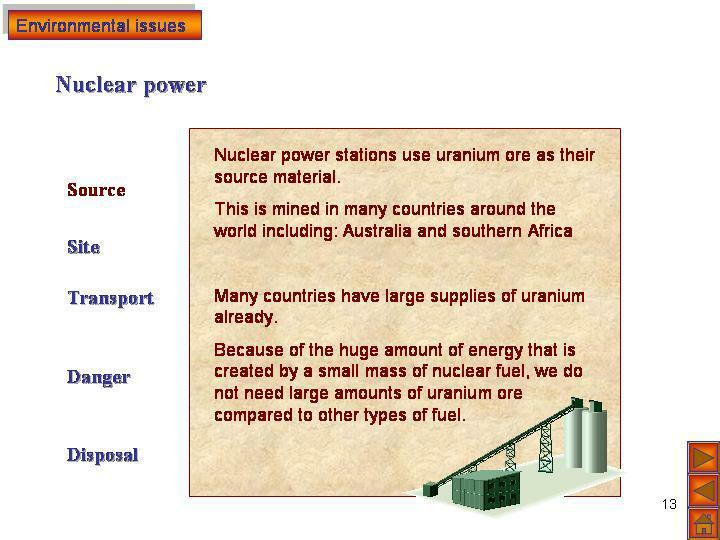 This PowerPoint presentation contains over 70 PowerPoint slides with colour photographs and pictures. 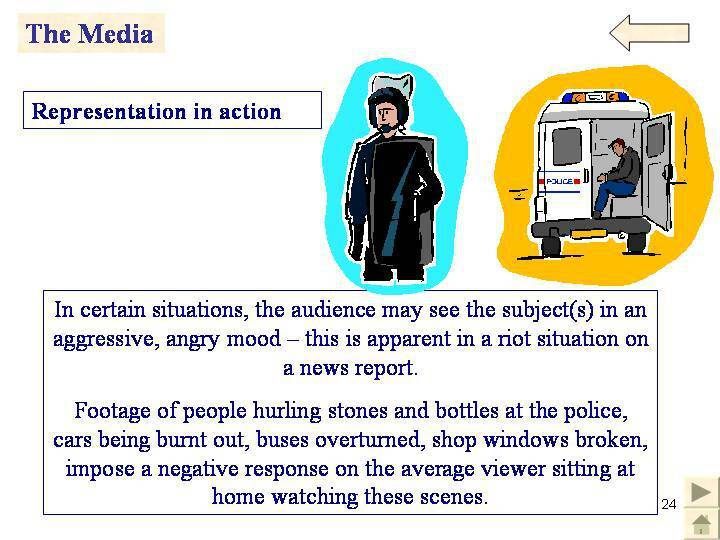 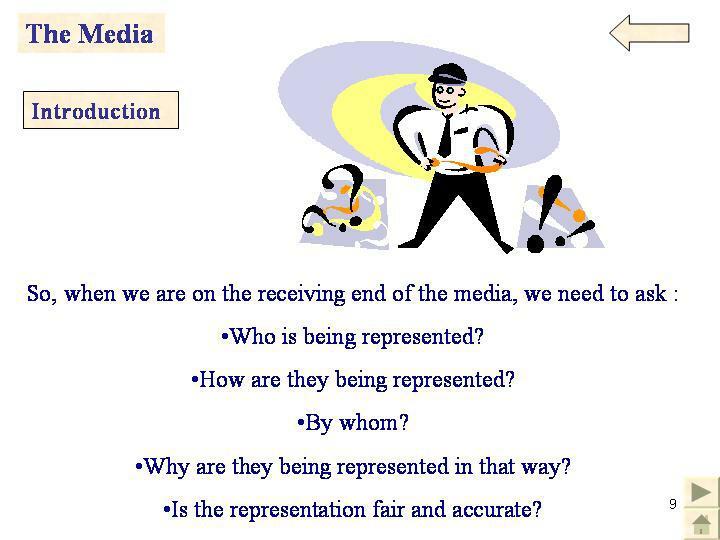 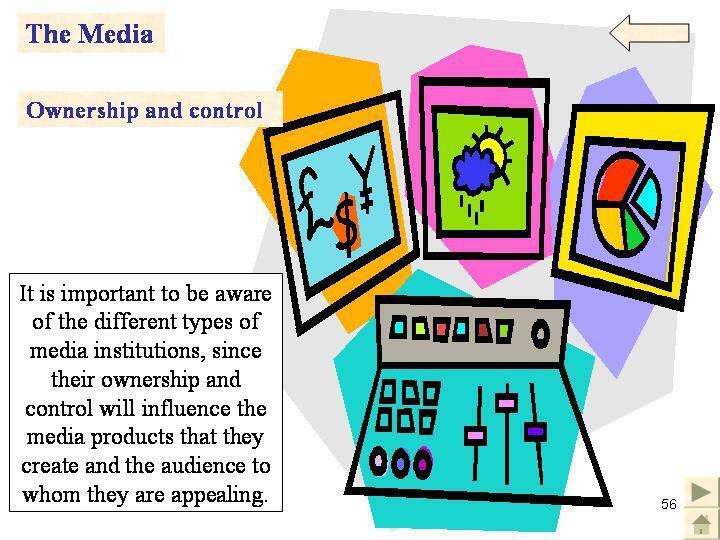 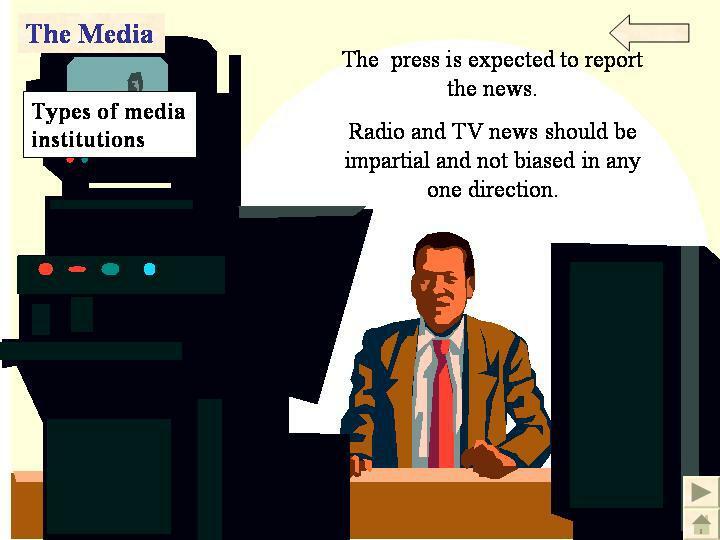 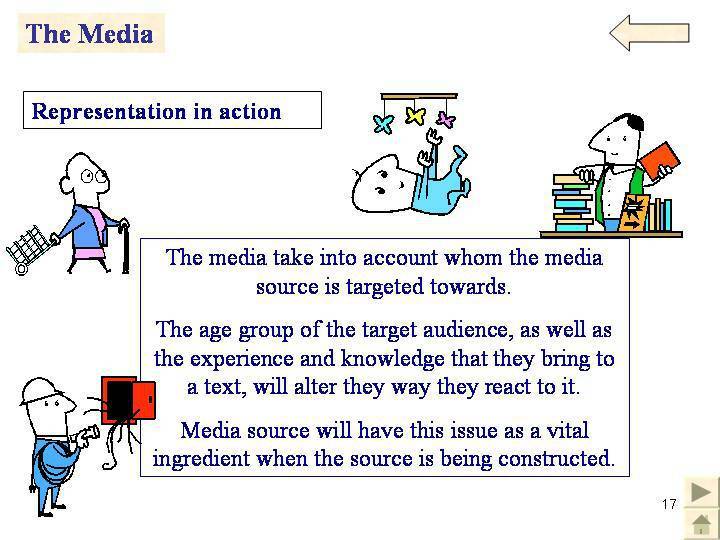 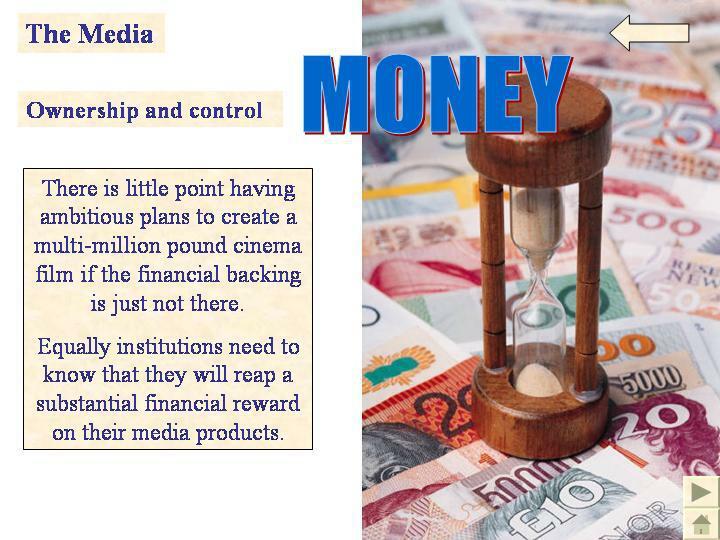 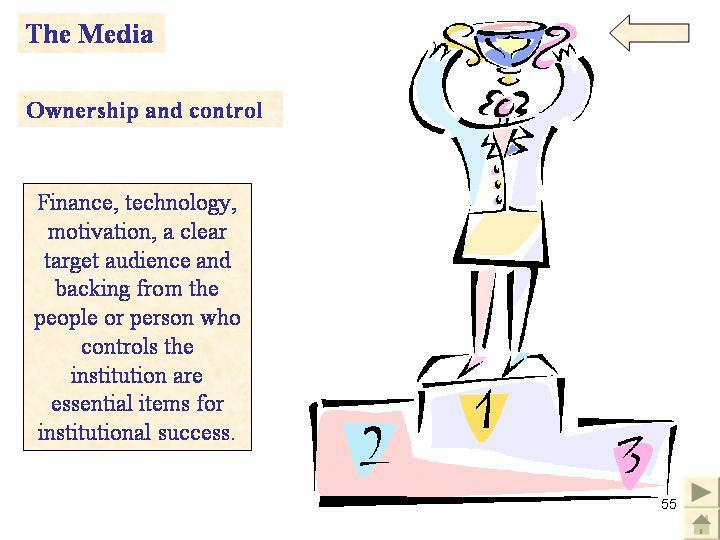 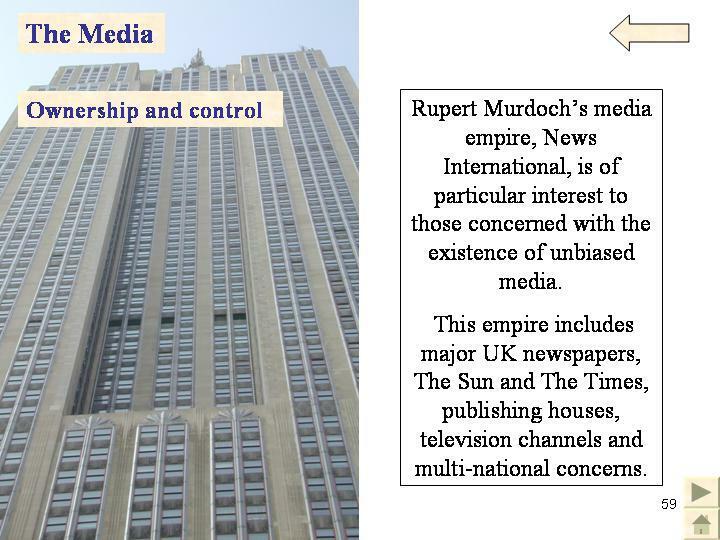 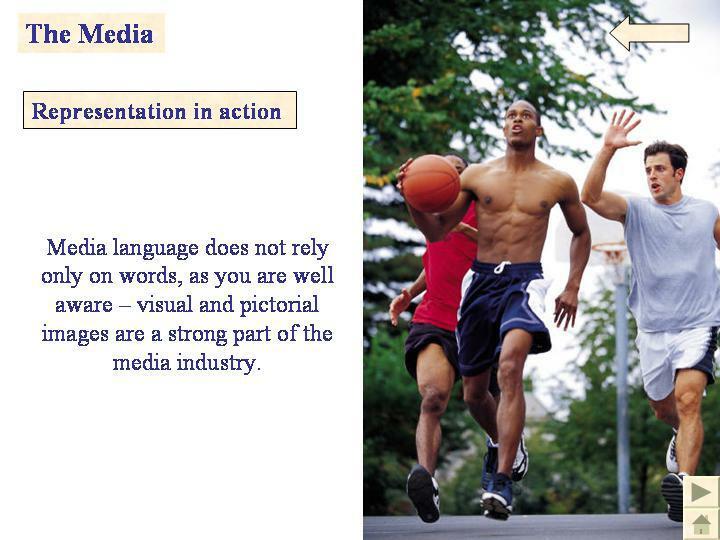 The presentation covers the basic concept of what the media is, how it represents reality, representation in the light of bias, ownership and control of the media and how they are regulated. 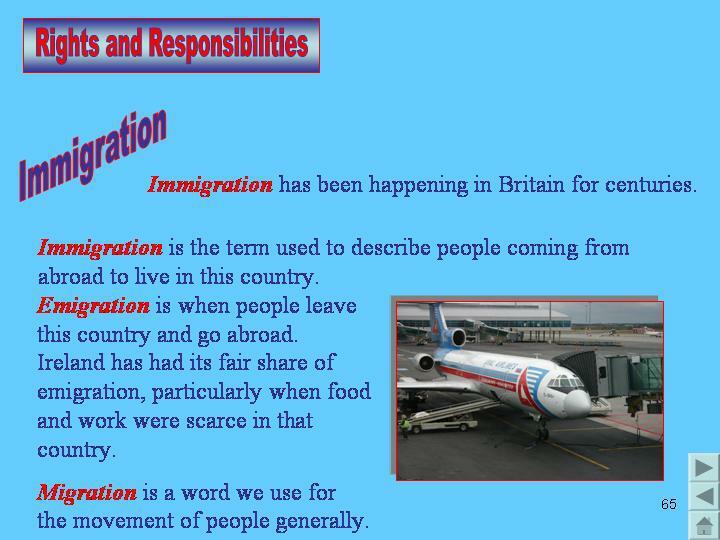 This PowerPoint presentation contains over 100 PowerPoint slides with colour photographs and pictures. 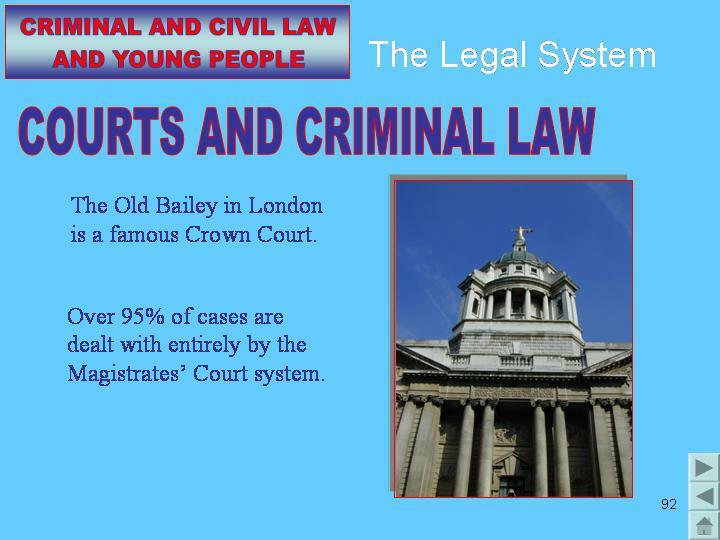 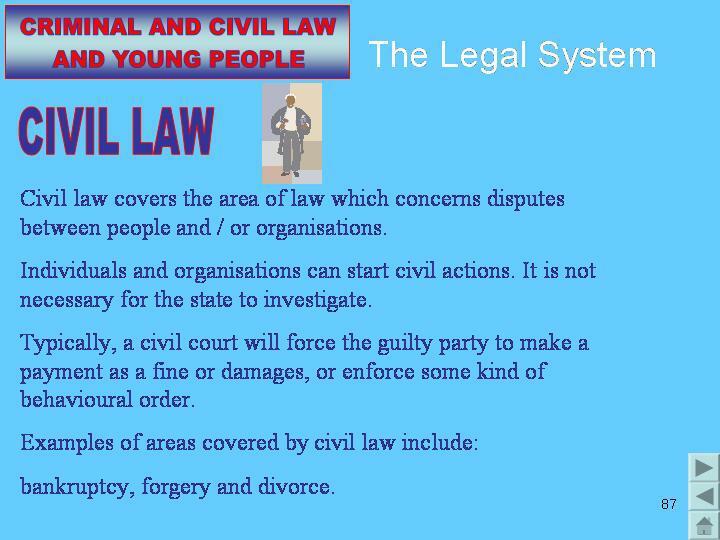 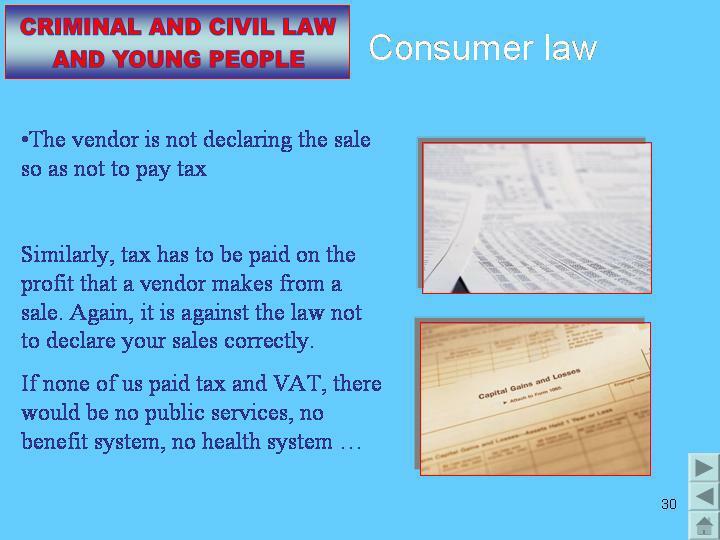 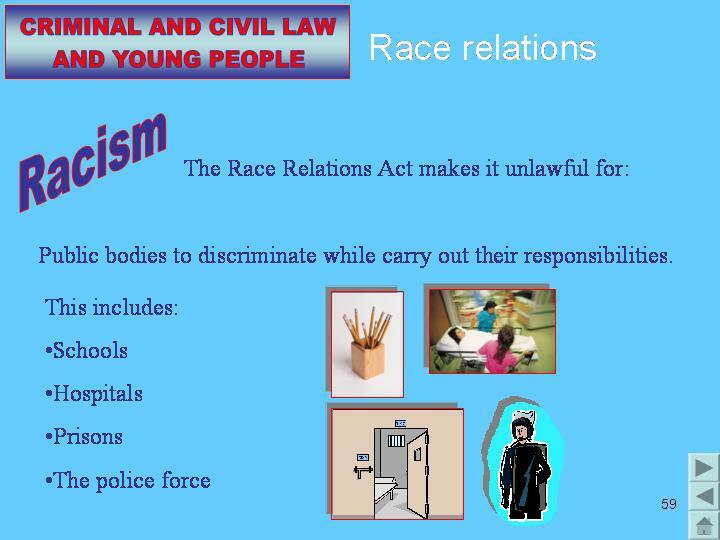 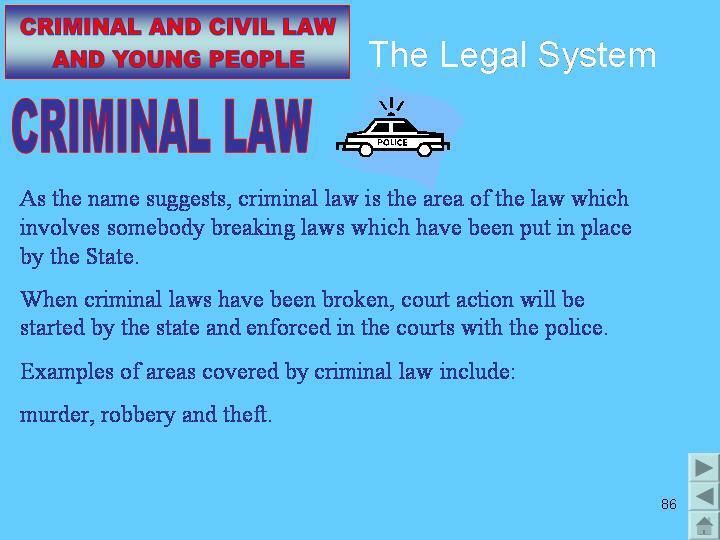 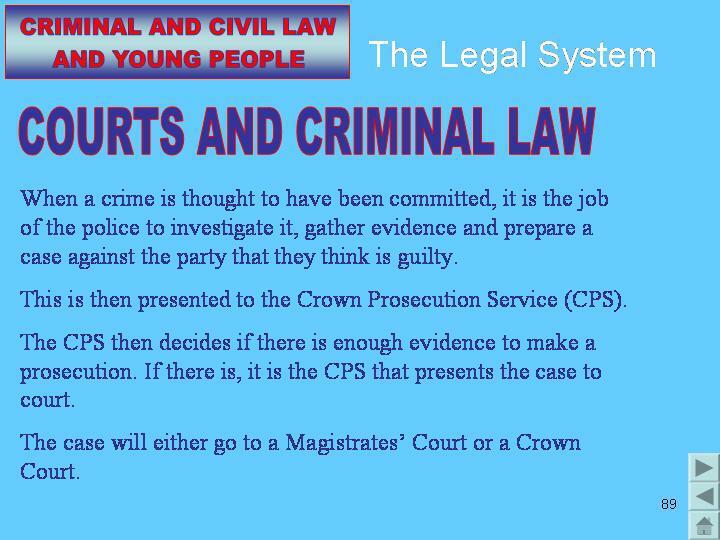 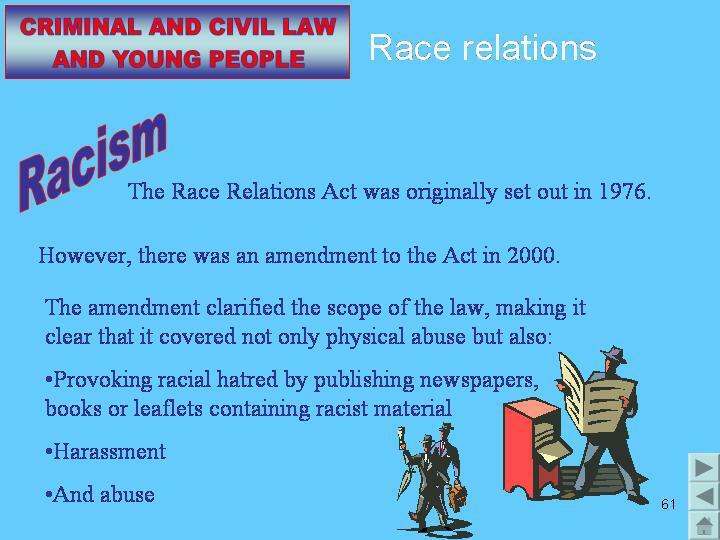 Criminal and Civil Law and Young People contains over 100 slides and covers the topics of the need for law and order, the Human Rights Bill, consumer law, race relations, age-related legislation and the legal system. 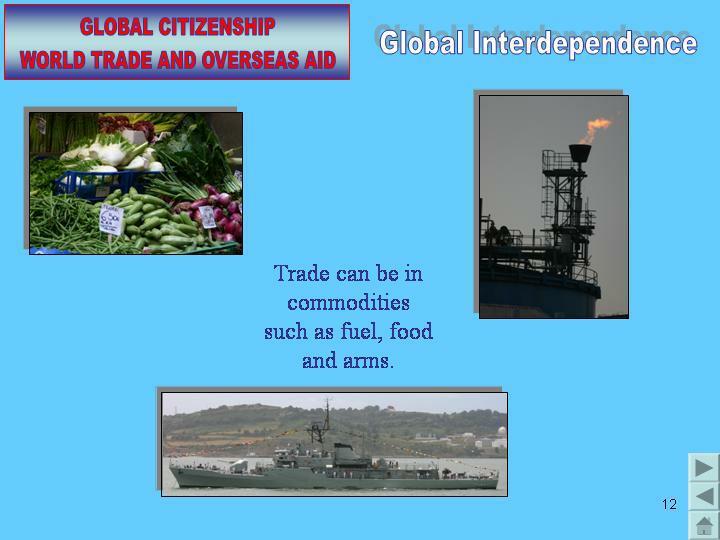 This PowerPoint presentation contains over 90 PowerPoint slides with colour photographs and pictures. 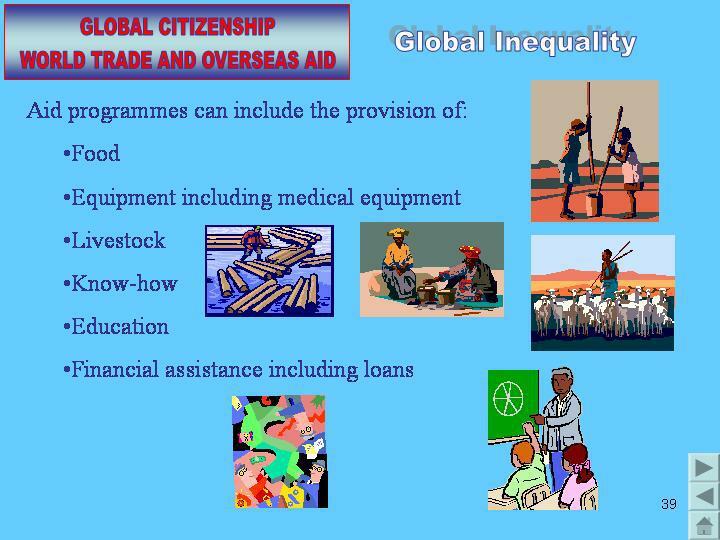 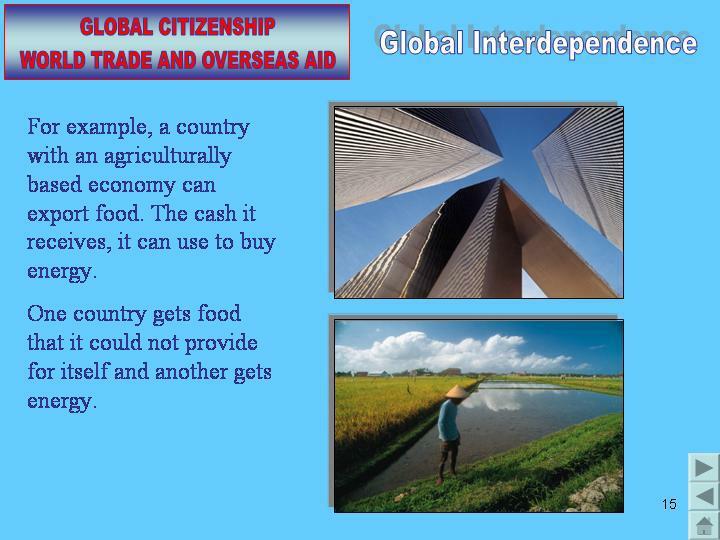 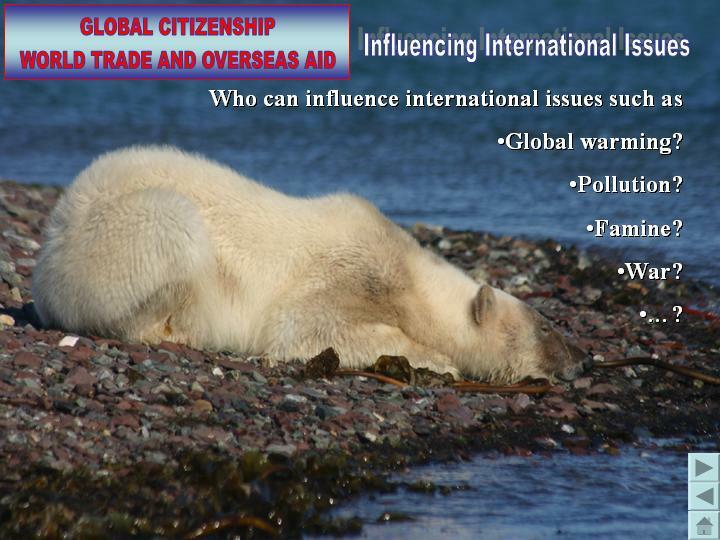 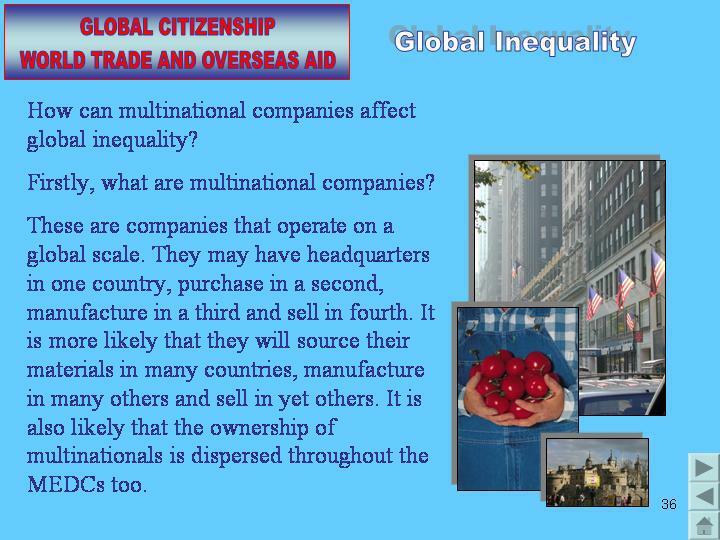 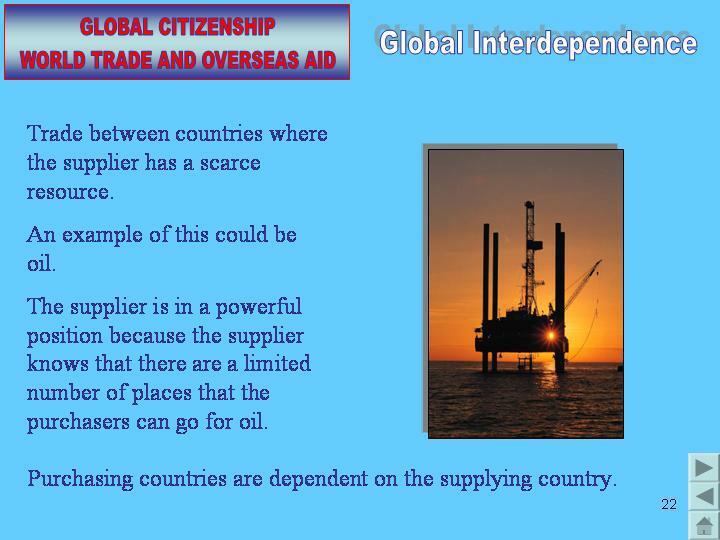 World Trade and Overseas Aid covers the following topics: global interdependence, global inequality and the reasons for it, how multi-national companies can influence countries, Local Agenda 21 and how you, the consumer, the media, pressure groups and governments can influence international issues. 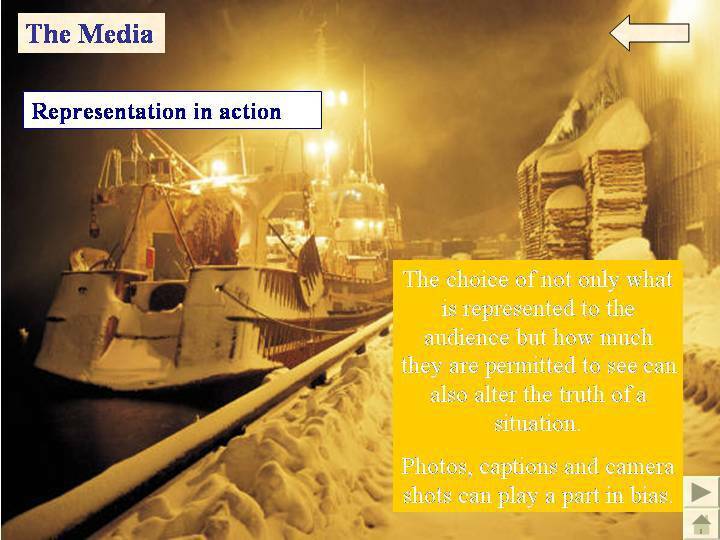 This PowerPoint presentation contains over 50 PowerPoint slides with colour photographs and pictures. 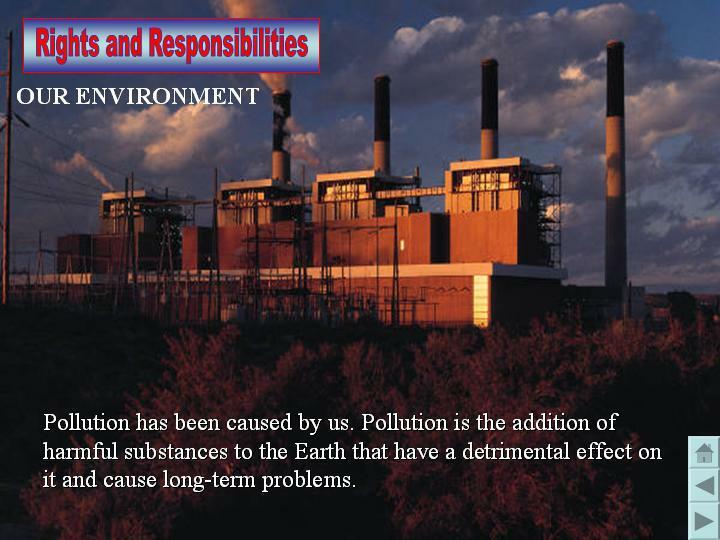 Environmental Issues is free with any other purchase. 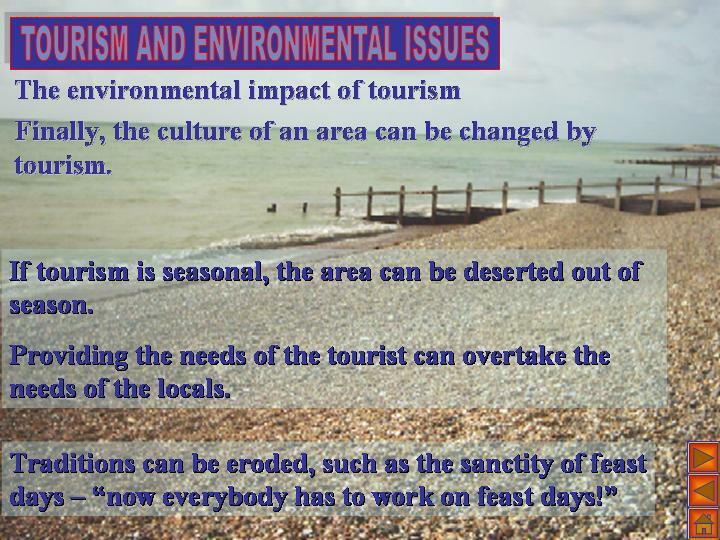 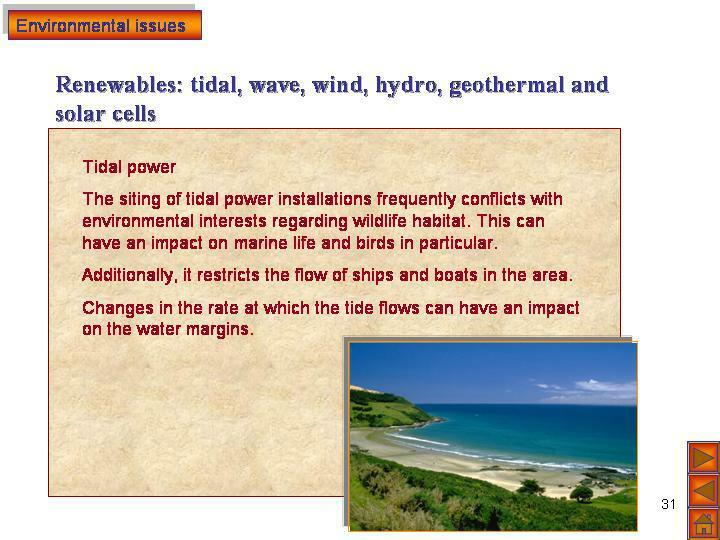 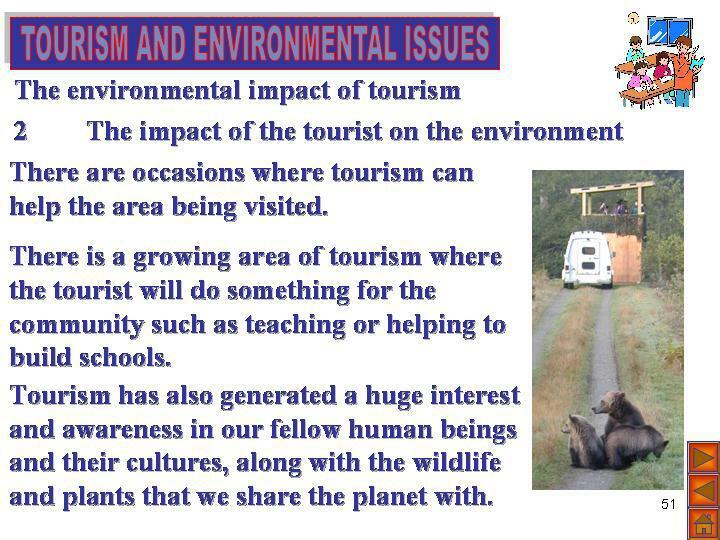 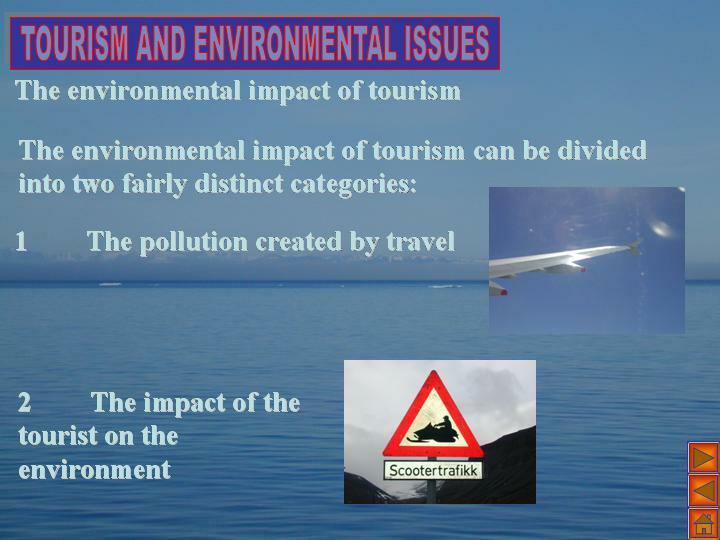 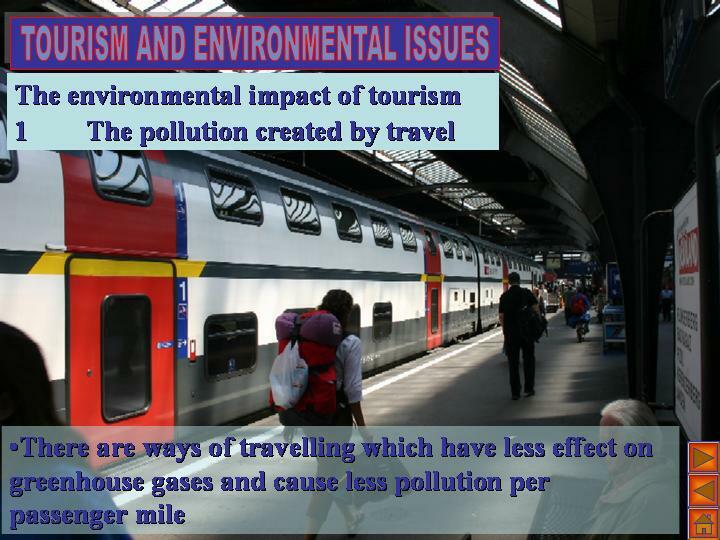 It covers the following topics: our impact on the environment and the methods of creating electricity, as well as the environmental impact of tourism.